Born as Legion Wanderers in 1964 and joined a regional league and were based in The Earl Haig Club in Whitchurch. 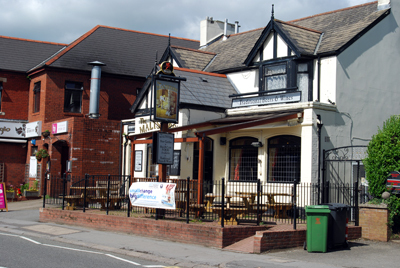 After a dispute with the hosts the team moved to The Masons Arms. After this pub changed the layout the team moved to The Fox & Hounds before the brewery changed the alley into an eating house! The next pub and home for the last 12 years is The Maltsters. The side was formed for extra training by the football side Cardiff Surburbans and three of the original side still play skittles, Alan Jones, Rod Moulder and John Pearce. Skittles trips, well enjoyed, include The Bier Keller in Bristol, London, Torquay etc. More adventurous are the bi-annual far away adventures to Tunisia, Majorca, Jersey, twice to Ostend, Lloret, Benidorm three times and on to this year's trip to Fuengirola. The old saying of "what goes on tour, stays on tour2, prevents the printing of any stories here abut as the older members are feeling their age, this maybe the last long haul trip.....maybe!